This entry is part 10 of 24 in the series Canada Summer Jobs. 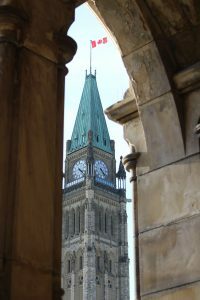 Justice St-Louis, of the Federal Court, ruled today that the Right to Life Association of Toronto (RTLT) failed to meet the legal test for an injunction against the federal government’s Canada Summer Jobs attestation requirement. If the court had issued an injunction against the government, it would have meant the government would not be able to enforce its attestation requirement. The injunction is a temporary order until the court can hear the entire case. The reason someone would want an injunction is because they are of the view that unless their opposing party is stopped from carrying out the offensive behaviour it could be too late when the court has time to hear the full hearing. Thus in this case, the RTLT argued that unless there is an injunction the government will have enforced the attestation requirement before the court could hold its hearing on why the attestation violates the Charter. In other words, the damage would be done. The law requires the RTLT, being the party asking for an injunction, to pass a three pronged test: First, show the court that there is a serious issue that the court will be considering when the full hearing is held; second, that the RTLT will suffer irreparable harm if the stay is not granted; and third, the RTLT’s interest is the greater concern on the balance as compared to the government’s interest and the public interest. The court assumed, without deciding the issue, that there was a serious issue, but it held that RTLT failed the second and third requirements for the injunction. “[I]rreparable harm does not flow uniquely from an allegation of a Charter breach” and there was no evidence of irreparable harm. The court also said that the irreparable harm would be to the public interest. The court did not address the arguments that the attestation was compelled speech in violation of the Charter. That will be dealt with when there is a full hearing on the matter.